The Patient Reporting Program (PRP) was developed to relieve the burden of patient reporting in outpatient cardiology practices. It allows health professionals to customize and build patients’ reports as they move through the exam process. The collaborative information is summarized into a professional-looking final report, which can be sent to a referring physician with ease, making compliance with current reporting requirements a piece of cake. Every doctor has their own unique way of dictating. This system honors that by allowing them to use their own terminology for findings and impressions. A patient interacts with various people within a practice. Information and data are entered at different stages, then neatly summarized into a final report. 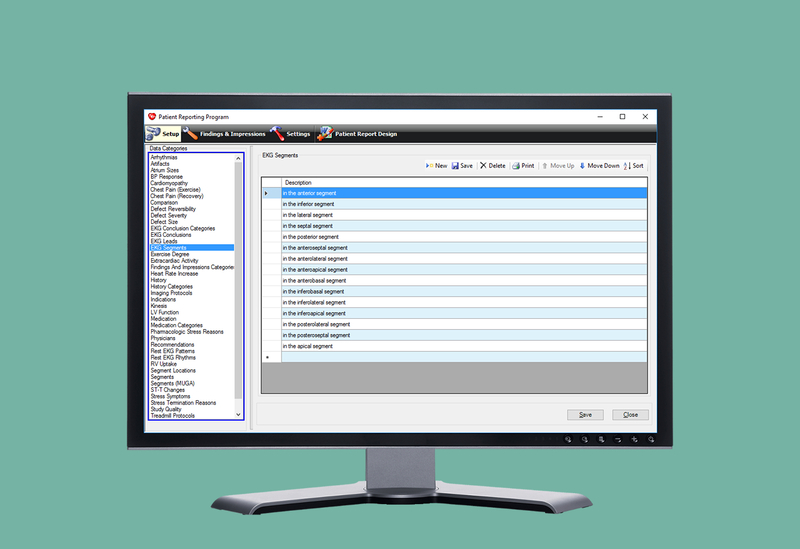 Patient Reporting software easily creates reports that are compliant with current ASNC, ACR and ICANL regulations, so you don't have to worry. 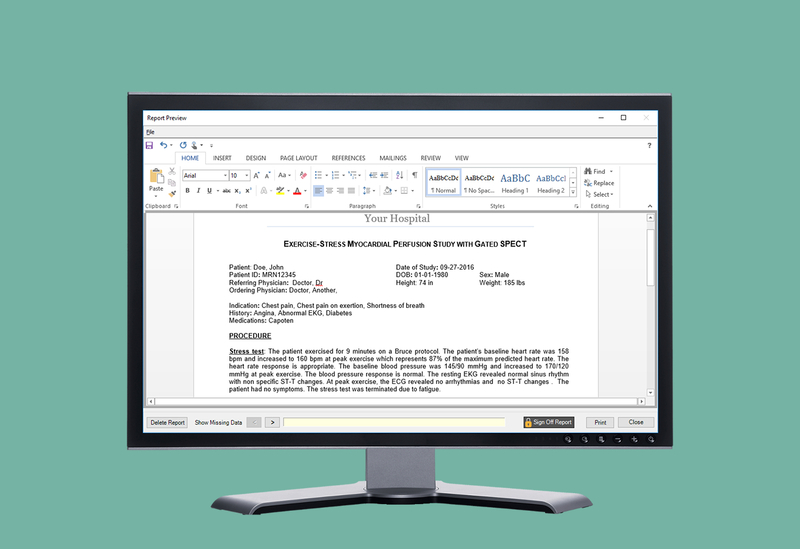 Use MS ® Word to format reports. Add an electronic signature, and your practice logo-and ICANL or ACR logo if you've been approved. Fast and cost-effective reports made easy. Reports created with PRP can be printed, emailed or faxed, saving you time and resources. Integrates with BioDose/NMIS, making scheduling and patient dosing and exam information readily available. Set your referring and ordering doctors in BioDose/NMIS and they'll show up in PRP. PRP integrates with NMIS for seamless access to patient information. If dose or exam info is entered in NMIS, it is immediately available in PRP for inclusion on the report. 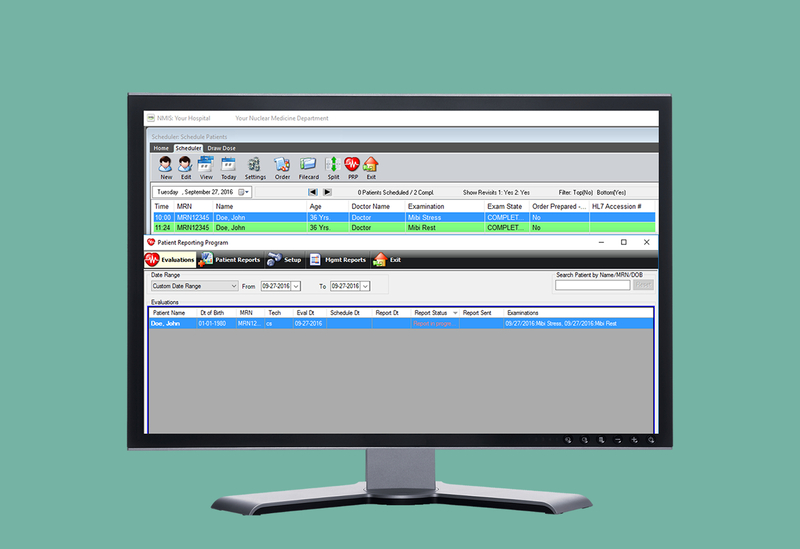 PRP gives cardiologist the ability to customize the reporting program with terms and phrasing they are accustomed to using in their patient reports. 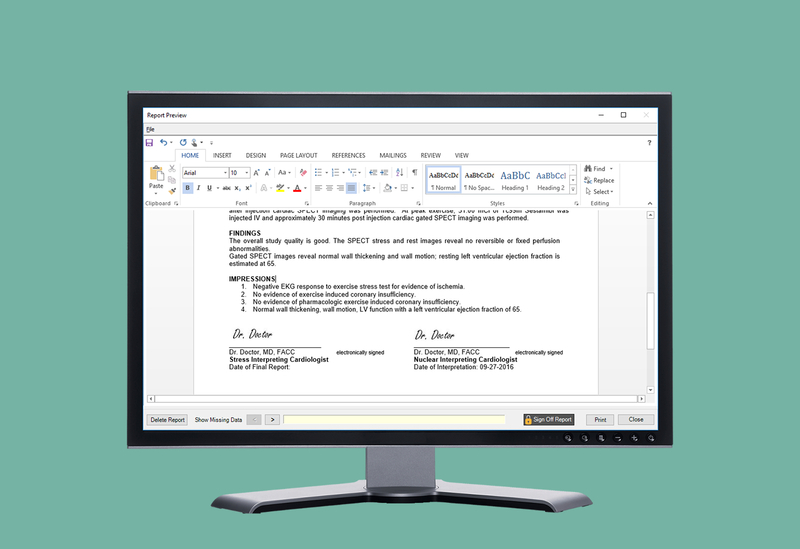 PRP uses MS® Word to create good-looking, professional reports with your logo, and customized to your own formatting preferences. With PRP, you can add a password-protected image of your signature that meets the ICANL requirements for electronic signature use. Who Does Patient Reporting Help? "We have several doctors that use the Patient Reporting System, and they all have their own unique way of dictating. What I like about this system is the ease of making changes to the database, such as adding new statements. The other great thing is that fact that the patient's physician can have a report to their office shortly after their test is completed." PRP has made patient reporting much easier for a number of our customers.